This one’s for the lemon lovers (like me). 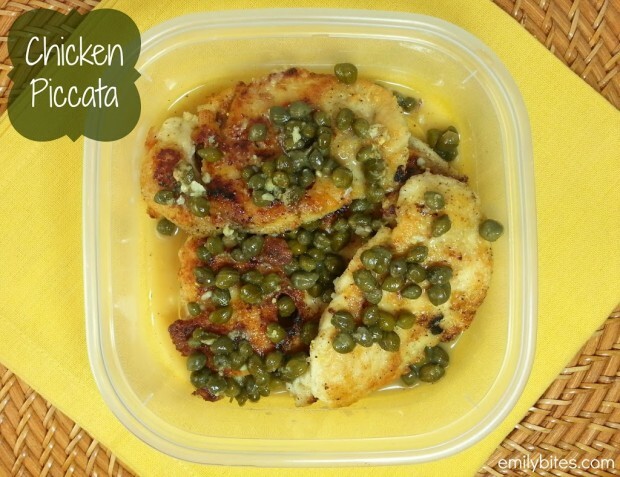 Chicken Piccata is an Italian specialty where chicken breasts are pounded thin and dredged in flour before being sautéed in butter and oil and covered in a sauce made of lemon juice, wine, capers and more butter. It’s not always a healthy choice in a restaurant, but this lighter version (using chicken broth and far less butter and oil) is just as delicious and clocks in at only 188 calories per serving and only 2 Weight Watcher SmartPoints! 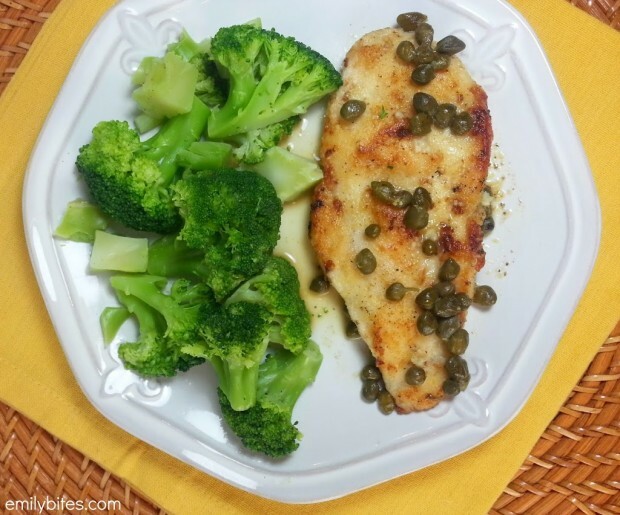 The fresh lemon juice and salty, briny capers give this dish big flavor and it’s a great weeknight meal because it comes together in about 20 minutes. Low calorie, low fat, low carbs and low points, no matter which you’re tracking, this dish is a healthy home run. Combine the flour, salt and pepper into a large Ziploc bag and shake to mix. Add the chicken, seal the bag and shake until the breasts are thoroughly coated. Heat the butter and oil in a large skillet over medium-high heat. Add the chicken breasts in a single layer and cook for 3 minutes or until the bottoms are golden. Flip the chicken breasts over and cook for an additional 3-4 minutes until the underside is golden and the chicken is cooked through. Remove chicken to a separate plate and cover in foil to keep warm. Pour the chicken broth into the same pan and stir to scrape up any browned bits from the chicken and flour. 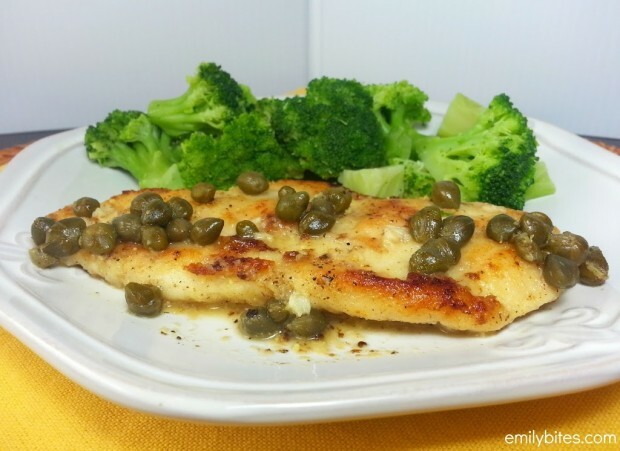 Add the lemon juice, garlic and capers and cook for another 4-5 minutes while sauce reduces. Pour sauce over chicken and garnish with chopped parsley if desired.